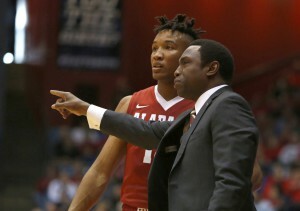 Avery Johnson needs to use NIT to focus on future | TideFans.com | By the Fans, For the Fans. Who to watch: Galin Smith. In two previous NIT trips, Avery Johnson stuck with his conventional strategies and rotations – and got a pair of lackluster losses for his trouble with teams that clearly were uninterested in playing any more basketball. 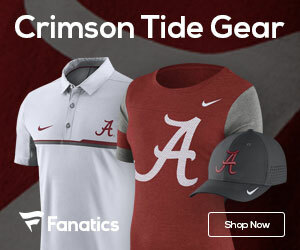 Now even the best-case scenario for Johnson has him returning to Tuscaloosa next winter for a win-big-or-else season and it is vital that he use whatever games remain this year to find out what skills and heart his underclassmen have and what holes will have to be filled either in the spring signing period or the summer transfer market. Smith started the first seven games of the year, got his minutes cut drastically for a long stretch, disappeared altogether from a handful of games, then suddenly went back to starting as Johnson went into end-of-season panic mode. Smith is nowhere near as polished as Donta Hall, but Hall isn’t going to be around next season when Johnson will be fighting for his professional life. Better to use this time if Smith’s soft hands and underrated positioning skills on the low blocks can translate into making him at least a serviceable starter at the post. What to watch for: Focus at the foul line. As the weakest team statistically in the 32-team field, the Spartans have very few categories where they excel nationally, but they do have a knack for getting to the foul line (22.1 attempts per game). Unfortunately for Norfolk State, it is even more prone to hack its opponents, who are averaging 24.2 attempts. That means the Crimson Tide will have to make sure to keep its cool it what could become a chippy game and will need to improve on its atrocious 66.8 percent free throw rate, which may be expecting to much from a team that by its own admission struggled with concentration and proper preparation even when its goals for the season were still obtainable.